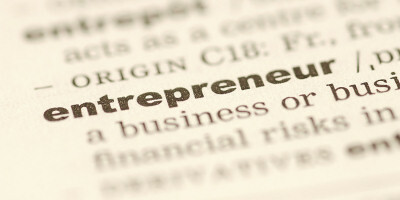 Entrepreneurship is more than a career choice—it’s a life calling. It’s common for new business owners to experience fear, uncertainty or a rush of excitement. But these emotions are only a small part of the story. What catches most new business leaders off-guard are the emotions they don’t expect to feel. Mina Ennin Black, founder of WealthEssentials Money Management, wasn’t afraid of failing in her new venture: She was more worried about succeeding. It’s not uncommon for new business owners, especially those with the potential for rapid growth, to shy away from the early big successes; they can’t wrap their minds around how to manage a big success so they freeze. In the early days of starting her company, Debra Cohen, owner at Home Remedies of NY, felt bogged down by her inexperience, because she had never owned a business before. Her company, an organization that screens and refers local home improvement contractors, had begun to take off—but Cohen was still skeptical of her own abilities. Cohen overcame this roadblock by conducting extensive research in her industry, assembling a board of advisers, creating a telephone script, and forcing herself to spend at least two hours a day on the phone. Tron Jordheim ‘s first business grew from a boyhood interest in protection dog training. He created an innovative business model that put him through college and became one of the first people to help New York City start its K-9 unit. Despite his impressive success, Jordheim felt unfulfilled. Jordheim looks back on his experience and realizes that if he would have stuck to it, he would have made millions, but he has no regrets. Instead, he let his business fade and moved on to a career that made him feel more inspired. Today he is the chief marketing officer of StorageMart, one of the largest privately-held self-storage companies with locations across the United States and Canada. Starting your own business can feel like a whirlwind. New entrepreneurs will thrive on the freedom of starting something new and being their own bosses. That’s what Kendra Kroll felt when she started Undercover Solutions, a company that created PortaPocket, a hands-free carrying case for IDs, cash, cards, keys, cell phones, iPods, lipstick and other personal belongings. “There’s nothing like discovery and making something truly from the heart,” Kroll says. Kroll has learned to temper her excitement with reality. Although she has been working on her company for more than six years, she feels as though she is just getting started.